This week, we posted a Transformation Tuesday post on Instagram encouraging our #vixenarmy to share their weight-loss stories. Reading through all of them has simply brought me to tears. It is so incredibly humbling to see that the purpose of why Vixen was created is being served. I happen to share a few of the instagram posts with my friend Robin (who’s also an avid #vixenarmy member and publicist) and her response was a simple “Doesn’t this make it all worth it?”….Hell Yeah it is. Along with the many blessings of entrepreneurship comes many struggles, stresses, and many sleepless nights. Add motherhood to that, and the guilt that comes with being a working mom with a very consuming career. Mix in the pressure of putting on a hell of a performance every night for hundreds of women regardless of exhaustion or anything that is going on in life, because I completely understand how hard it is for these women to leave their lives to come to Vixen in search of some solace. That is bigger than anything I can ever be going through. I am sure I speak for myself and every other Vixen instructor… Hell yeah, it’s worth it. My first Vixen Class was taught October 2012. I had no idea that this day would change my life forever. In order to understand what Vixen is, it’s important to understand the road that got me there. How in my complete self-destruction, I gave birth to myself and to something much greater than me. How losing my way put me on the road to Vixen. Fast forward to my first year of high school, that’s when dance took a whole new meaning for me. My father was a terrible diabetic and became very ill. My mom became the sole breadwinner so my little brother and I became my father’s caretakers. Due to a gangrene infection caused by diabetes, my father lost his foot. I was 15 when I learned to clean my first amputated wound. Those visuals still haunt me. After the foot, they amputated the lower part of his leg right below his knee…. Then went the other foot. Then it went piece by piece until my father had to have both legs amputated above the knee. Seeing the wounds of a double amputation is awful, having to clean them is even worse. To this day, I get chills remembering my father’s screams from the phantom pain, which is severe pain coming from limbs that are no longer there. My mom did such a great job of keeping it together. I remember her waking up every morning at 4:30am to cook the meals for the day, clean, prepare everything my father would need then head off to her 12 hr work day. She never made it seem like there was anything wrong with our family. It just was what it was, and we had to do what we had to do. Seeing her seem unbreakable made me feel like I had to be just as strong. I felt like I couldn’t give in to any of the storms of emotions I had inside of me, so I quickly learned how to not to feel. 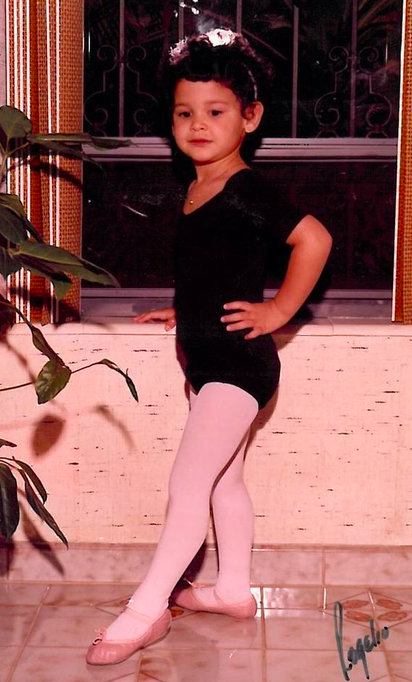 As you can imagine, I hated being home so I would spend endless hours in the dance studio. All the things I learned to numb outside of the studio, I would feel so deeply in the music I danced to. When I danced I was able to channel the emotions inside of me and make them beautiful. When I danced, the strength I was so wildly faking at home felt real. I never danced because I wanted anything out of it, I danced because I needed to lose myself… it retrospect it was to save myself. 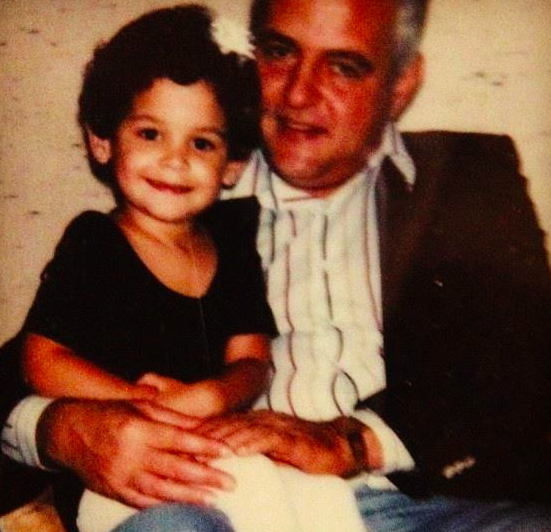 My father passed when I was 21 on Christmas day, he was 57yrs old. The experience of caring and loving him molded every part of me and I am forever thankful. I made a career in dance. For years I danced, I traveled, I assisted everyone who I could possibly learn from, I choreographed, produced, and taught all over the country. I became the director of a talent agency and brought great tours and jobs to the city which taught me a lot about business. I had the respect of large companies and artists in my field… I was living my dream and I was successful. For anyone whose familiar with the life of a performer, you are a total gypsy with no solid ground to stand on. It’s exciting, always changing, and addicting. After many years of living this life and seeing all of my friends settle down into adult life, I started to question everything. The life that once felt exciting all of the sudden felt very lonely, voided, and irresponsible. The voices I had always ignored pressuring me to pursue something practical suddenly became all I can hear. I started to look at my friends who put their dreams aside to pursue a safe life with envy. My friends who finished college, got a job in corporate america and married their college sweethearts. They were safe and I felt that I needed safe . The mind is a very powerful thing and I convinced myself that every decision I had ever made in pursuit my dreams was absolutely ridiculous. I convinced myself that my “happily ever after” was going to be found on the same road they were on… Marriage, children, & the security of corporate america. This 4yr period of life I call the black hole. I left everything dance related in pursuit of the safe and the practical. For the first time in my life, I ignored everything my heart had to say and started listened vigorously to society’s roadmap to adulthood: I got married, found a job in finance, and had a baby. For 4 years I walked in the shoes of my friends and so many other women. I lived a life of routine based on fulfilling many roles on the day to day. Not the roles of a dance performance, as I was used to, but the numerous roles a woman needs to play on the daily: The roles of mother, wife, breadwinner, domestic diva. 6am Got up to tend to the baby 630am Make breakfast for the family and prepare & pack lunches for work 715am Get baby dressed and iron work clothes for husband 8am Drop baby off at care 830am Start work 530pm Rush to pick up baby at care. 645pm Arrive home and prepare dinner for the family 730pm Feed baby 8pm Bathe baby 830pm Put baby down to sleep 9pm clean the house of the mess made by cooking, baby, do laundry 1030pm shower go to bed. This was life. If you notice on the daily schedule there is no time allocated for me. I bet a lot of you can relate to that. Everyday I woke up with a little less of me inside of me. The light I once had inside of me got dimmer everyday. Dance was the one thing I had used my entire life to make me feel brave, to make me feel powerful, to help me channel my emotions, and it was no longer there for me… and I was lost. For the first time in my life I went through a depression. I remember using the 30 minutes I had for lunch everyday to hide in the bathroom stall and sob. I remember laying in bed sometimes for days at a time to just cry. I remember looking in the mirror, and not recognizing the person reflected back at me. I remember the feeling of invisibility. For someone who was raised on stages under lights, this feeling of invisibility felt detrimental to my spirit. I also remember the immense guilt I felt for not finding happiness in this life, as my friends had. Everyone makes it seem so easy… my mom, my friends…Why do I feel like I’m drowning? The woman in the floral dress is me. I never took pictures during this time, so I forgot that I looked like this. This was mother’s day 2010. Ava was 8 months old. Summer 2011, I got laid off from my finance job. My husband at the time was unemployed as well and I was forced to apply for food stamps since he didn’t qualify for unemployment benefits. I had to go back to the only thing I knew, which was dance and entertainment, in order to provide what I could for my family. Let’s just say this didn’t sit well with someone who is used to an invisible wife. As women, we can be natural martyrs. As mothers, we will do whatever is best for our children, regardless of our own happiness. The only thing that could’ve made me leave the life I was in, was the realization that the my daughter’s future was much better if I was alone. So I grabbed my daughter, filled whatever clothes I can fit in a trash bag, moved us both into my mothers, and started over. August 2012, I decided to open up a dance studio. Our opening was in September 2012. The quick decision to open a business didn’t leave much time to get the word out so I didn’t have a lot of kids to start. I had an empty time-slot Monday’s at 830pm so I had the bright idea to bring in a fitness class. I figured that a fitness class would bring adults who’d possibility register their kids. I had called a few Zumba instructors to teach, but I couldn’t afford their rates. I was a choreographer, so I knew that I could come up with something… I just didn’t know what. A girl’s night with some friends provided my “aha” moment. We were out in a nightclub, looking to let loose and disconnect from life for a couple of hours and we just couldn’t. I just sat and observed these women who were my friends but also mothers, career-women, who could not disconnect from the roles that they have to play everyday. OH MY GOD. These are women who their entire adult lives only know the life that put me in a deep depression. They have no idea what if feels like to be on stage and feel the exhilaration of losing yourself to music. How do they express themselves? How do they channel emotions? They have never experienced themselves as I had, the larger than life person I transformed into on stage. That was it… that was my moment. That was the moment that it became my life’s mission to make sure that every woman around me has the opportunity to experience themselves that way. I needed to share the one thing that got me through any tough moment in my life. The one thing that made me become, if even for a fleeting moment, all of the things I wasn’t brave enough to be in real life. The one thing that made me feel alive. I had to figure out a way to make something that only a few get to experience available to the general public. That Monday, I went to the studio to come up with choreography for this new class of mine. I knew I wanted to make it easy to follow and that the steps needed to be similar to the choreography I’d use for an artist. The music needed to by edited the same way music is edited and curated for a concert. I needed these women to feel like performers. I turned off the lights in the studio and I turned on a single spotlight that my aunt had found in a garage sale. For the first time in over 4yrs, with the heat of the spotlight, the darkness of the room, and the bass beating through me as if it was my very own pulse…. I remembered who I was… Vixen was born. The Vixen Workout is a culmination of every life experience I’ve ever had. “Don’t let them steal your light”: Don’t let life take the light that shines so bright inside all of us. Self abandonment does not make you a better mother, wife, woman. It does not! Let your light shine bright and by doing so, light the fire in everyone around you. That makes you a great woman! “Selfies”: I encourage selfies in class because for 4yrs I never photographed myself. I lived invisible. The feeling of living life feeling “Unseen” completely killed my spirit. So I want all of you to take pictures of yourselves damn it, and be proud of being a woman. Feel and know that you are beautiful because whether you weigh 500lbs are 100lbs, you are beautiful! Live life alive! Don’t settle for the safe and always NO MATTER WHAT listen to your heart. 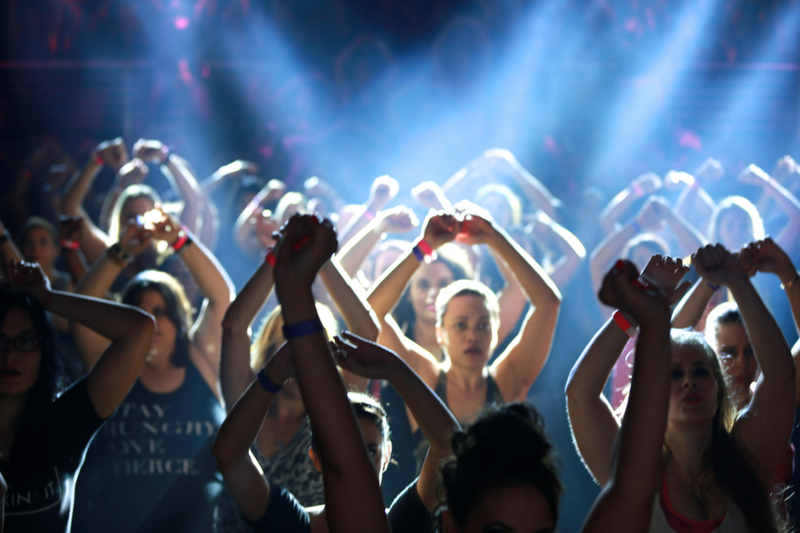 There is nothing more powerful than a room of a hundred women seeking solace, channelling emotion, and losing themselves in movement & dance for an hour. That is what Vixen is. Please know that when I see an overweight woman hiding in the back of my class, I see myself in her. Please know that when I see a woman hide from taking a picture, I see myself in her. I see myself in all of your struggles and I feel you… I feel all of you. Thank you for taking the time to read this. Thank you for taking the time to share your stories. Please understand that only by sharing your stories do you let other women know they’re not alone. Most of all thank you for your support the last 2.5 years. We truly are an army of incredible light. We are the #VIXENARMY. Janet – Thank you so much for your story. No one could ever imagine you had to go through all the hardship, struggles and almost lose yourself by trying to adjust to what society considers “the norm”. You shine bright and thank you so much for creating this outlet for women of all backgrounds and ages to experience a fun and exciting workout class where we learn to love ourselves and support each other.